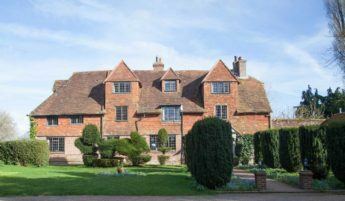 There are lots of large manor houses for exclusive use, all within two and half hours’ drive of London. Escape London on a Friday evening and arrive at a house for a late supper and hot bath. If you are after a particular region see Norfolk and Suffolk or the South East of England. It’s thrilling to leave London after work and arrive to find a beautiful manor house lit up for you. Arrive in the countryside and spending the weekend relaxing with friends (in a hot tub?). Most houses can help organise catering or we can arrange for piping hot food to be served once you have welcomed your guests with a glass of Champagne. So, go ahead and review the options below!